The foreign ministers of France and Spain condemned on Monday (18 February) the Venezuelan government’s decision to expel a group of EU lawmakers who had travelled there on a fact-finding mission and wanted to meet with the self-appointed but widely recognised interim president. EURACTIV’s partner EFE reports. Spain‘s Foreign Minister Josep Borrell and France’s Jean-Yves Le Drian protested in Brussels at the decision by Nicolás Maduro’s government to expel the MEPs, who had wanted to meet with Juan Guaidó, Venezuela’s parliament speaker who has been recognised by the United States and major European countries as interim president. Venezuela’s government on Sunday (17 February) blocked five European lawmakers from entering the country, triggering an angry response by opposition leader Juan Guaidó who had invited the delegation. 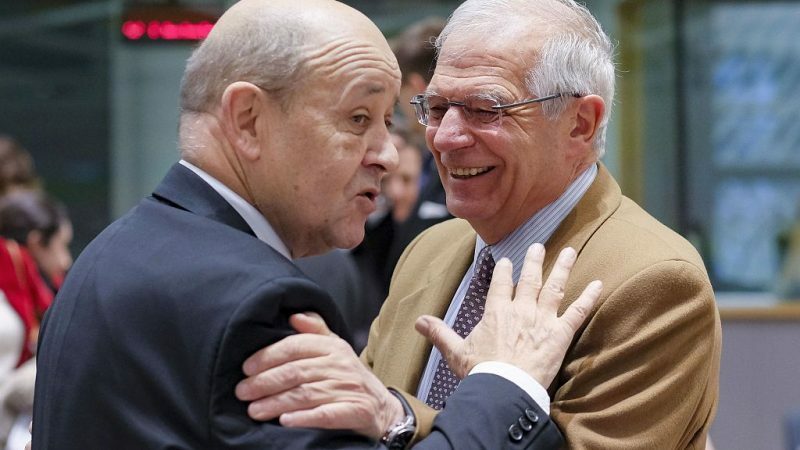 “Naturally, we would have liked them to enter and we condemn the attitude of Mr Maduro’s government, a government that as you know is questioned, not to let them in,” Borrell told the press upon his arrival at a Council of Foreign Ministers of the European Union. “We protest energetically over how five European Union lawmakers who were in Venezuela to express their concern over the country’s democratic processes have been expelled today,” Le Drian added. The group, headed by the Spanish MEP Esteban González Pons, had received an invitation from the National Assembly and had been due to hold a meeting with Guaidó. “Our passports have been withheld, they have not communicated the reason for the expulsion, nor do we have any document that justifies why they are throwing us out of the country, “Pons said in a video recorded at Maiquetía airport, which serves the Venezuelan capital. 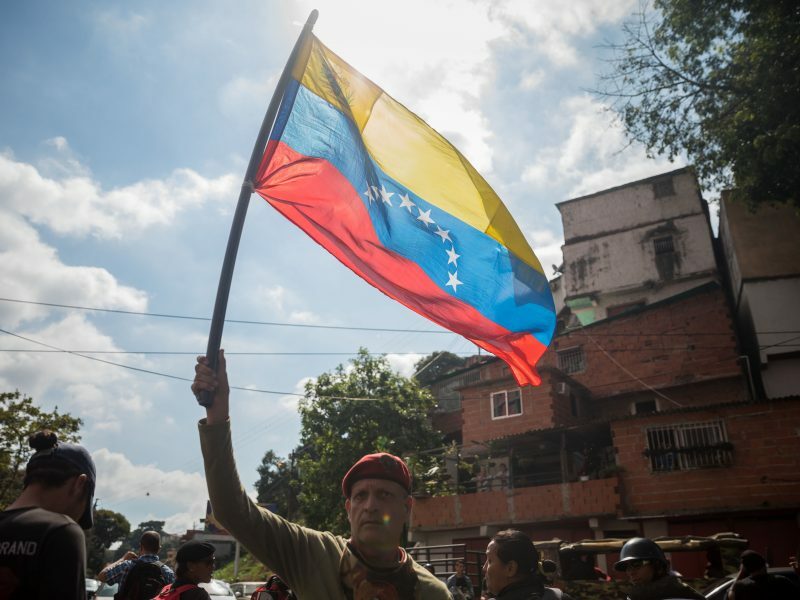 Borrell said he hoped a technical mission sent to Venezuela by the international contact group sponsored by the EU would be able to enter the country later this week, as scheduled, to meet with all the parties in the crisis-hit country. “Soon they will go to Caracas, if they let them, I hope they do,” Borrell said. He added that both Spain and Portugal had pushed for the creation of that mission at a recent meeting in Uruguay, where the first international contact group on Venezuela was held. Borrell said the technical group’s task would be to see what steps need to be taken, what deadlines set up, to see how to try and push the electoral process forward. The work of the contact group will be addressed by the EU foreign ministers at a meeting in Brussels on Monday, Borrell said and added that Europe has insisted on seeing a free presidential election in Venezuela. Guaidó, who leads the Venezuelan national assembly, declared himself interim president last month, in a move that has triggered a diplomatic and political schism across several countries and brought many Venezuelans onto the streets. “It is clear that the position of Spain and the EU is to recognise Guaidó as acting or interim president,” Borrell said, adding that “we have to act in accordance with the law and not just accept the request of the US.” US Vice President Mike Pence has called on Europe to recognise Guaidó as president. Borrell said that, as a recognised interim president, Guaidó’s task should be to call elections as soon as possible. “We will do everything possible to try to avoid by all means a military escalation,” Borrell said. US President Donald Trump has hinted at the possibility of sending troops to Venezuela. What you call “Fact finding Team” is a group of Partido Popular politicians. This party is very close to far-right other Spanish party’s, and is well known for being the most corrupted political party of Spain. The same party tries to silence the Catalan movement of independence by jailing Catalan political leaders by an own interpretation of the Constitution. This is a political visit, in name of the EU? Is the EU promoting far-right party’s? I am afraid that this is the case. Where are the values of the EU?